May I, on behalf of the entire English language media, sincerely apologize for wasting your time. I am well aware that you are both too busy and too important to be frittering away even minutes on answering questions from reporters in English. Although Article 9 of the Basic Law states that English may be used as an official language of the SAR, I am confident that this can be reinterpreted by the Standing Committee of the NPC so as to save you further inconvenience. 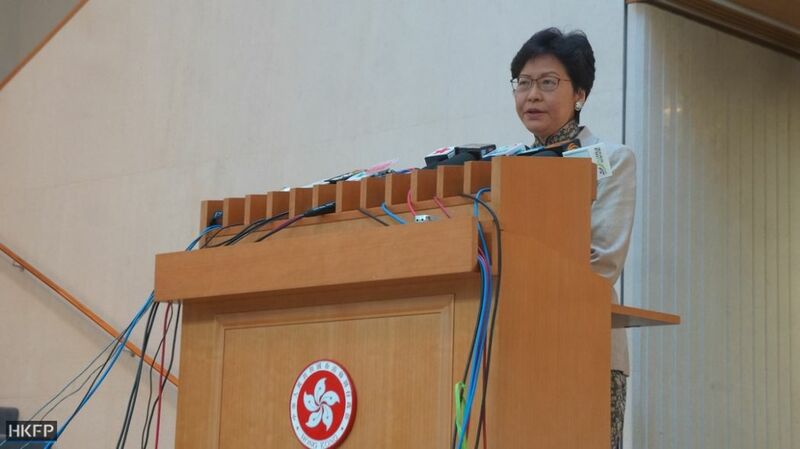 Chief Executive Carrie Lam. File photo: Tom Grundy/HKFP. English, as we know, is a colonial relic that has no more than a limited place in post-colonial Hong Kong. Come to think of it Cantonese is also problematic because the aggressive use of this language, sorry dialect, contains elements of a splitist nature. The rest of the nation uses Putonghua; surely the time has come for Hong Kong to fall in line. What I really don’t understand however is why this week you bothered to issue a clarification of your remarks to the media concerning time wasted by having to repeat things in both Cantonese and English. Surely you were right in the first instance when reprimanding a reporter from RTHK for asking a question in English. What a cheek! In fact, this whole business of reporters asking questions is becoming increasingly bothersome. Would it not be better to follow the splendid example set by officials on the Mainland, who issue statements that are reported in full by the Chinese media? Officials will tolerate questions but they are usually pre-screened to avoid both time-wasting and misunderstanding. The system works like a dream. Thankfully, and in no small part due to the valiant efforts of people like yourself, most of the local media are now under control and can be expected to reflect official thinking. As a result fulsome coverage of issues such as One Belt One Road add immeasurably to my daily joy in media consumption. However there are pockets of resistance. 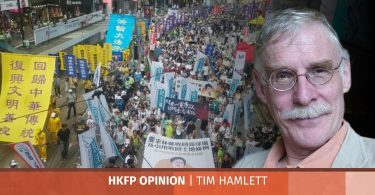 I am afraid to say that the HKFP is a lamentable case in point – rest assured, I will be discussing this with its editors. As matters stand, parts of the local media can really be very annoying, you need only see the mess that’s engulfing the MTRC, where press reports are hampering the work of a great company that’s doing its very best to build new railway lines and really does not need to be diverted by press ‘exposes’ of faulty construction work, safety concerns and cost overruns. As the Corporation’s chairman has pointed out, the public can be informed of problems on a need-to-know basis – and there really is precious little that they need to know. 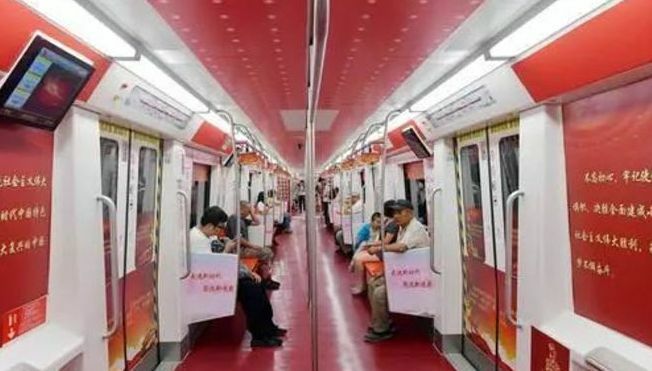 If you are looking to the future, which I am sure you are, you could do far worse than consider the fine example set by the authorities in Changchun, Jilin Province, who have rolled out a new train service with carriages adorned with the thoughts of President Xi Jinping. The snappily entitled Xi Jinping Thought on Socialism with Chinese Characteristics for a New Era has been insufficiently studied here in the SAR. 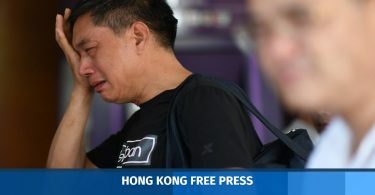 Efforts should be made to get the media to focus on this and, if I may be presumptuous enough to make another suggestion, maybe the time has come for the Thoughts of Carrie Lam to get some traction, obviously in subservient status to those of the big boss but you can see where I’m going with this. Finally, let me say that we all appreciate how hard you work, apparently for many hours every single day of the week. Your ability to micro-manage the whole apparatus of government is quite awesome and you are rightly neither being distracted by criticism nor in accepting tedious independence of thought from subordinates. Once again, Mrs Lam, let me assure you that the English language media will strive to do better … or maybe it should make the ultimate gesture of abolishing itself.